Wing length is 13 to 16 mm and about 16 to 22 mm in body length. 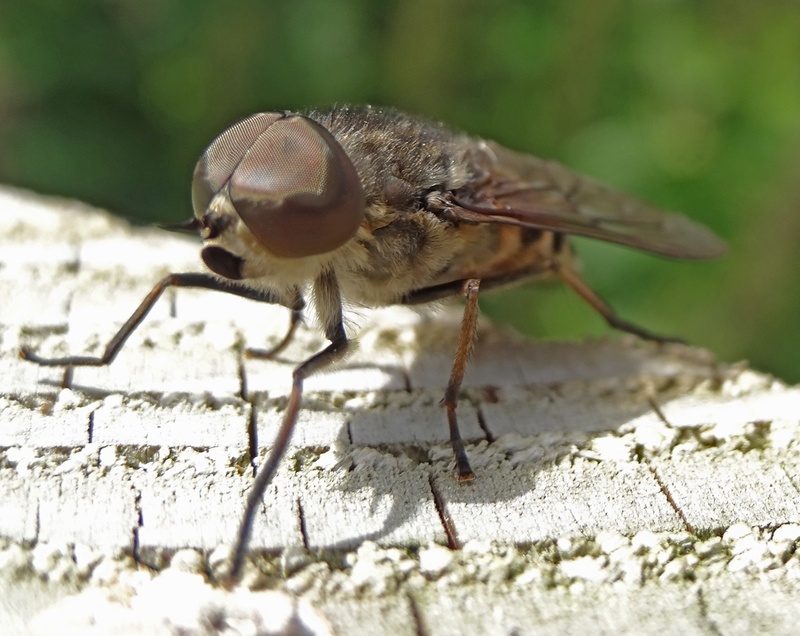 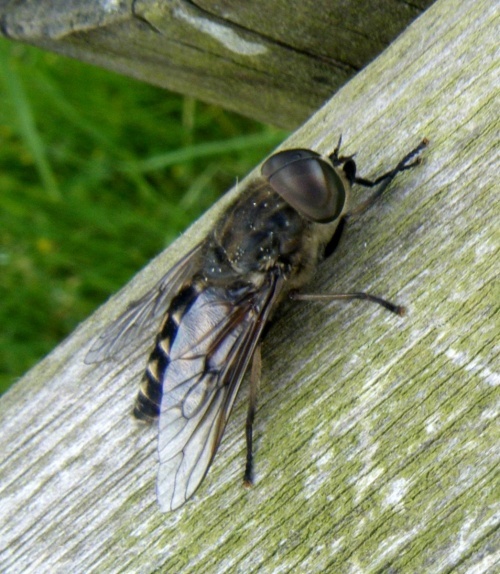 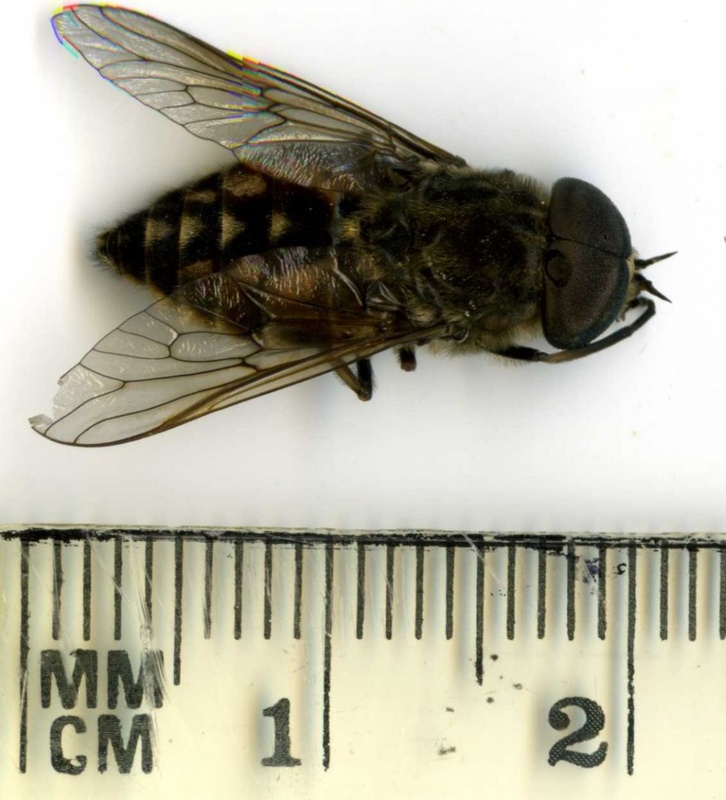 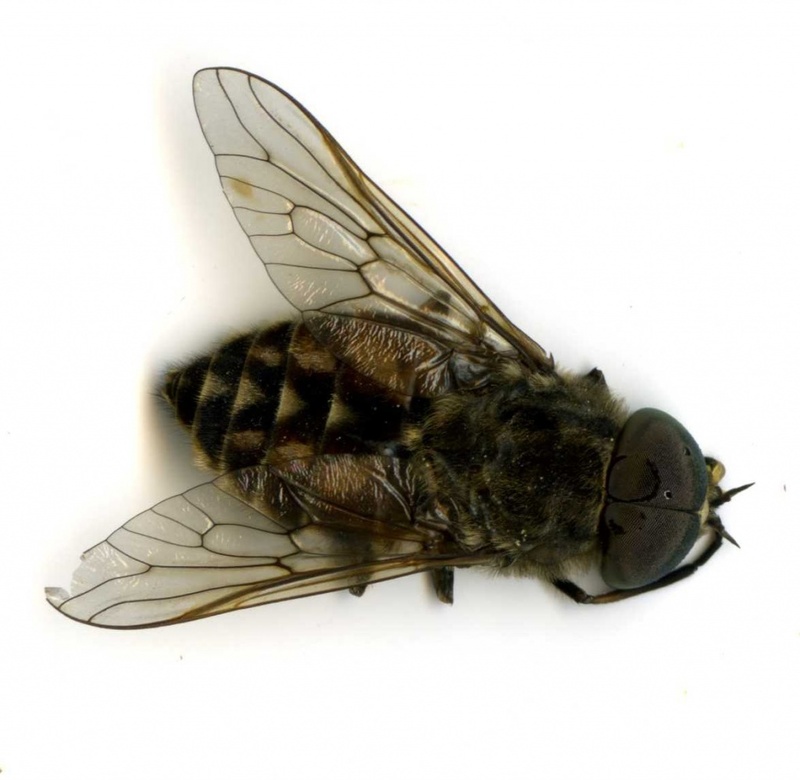 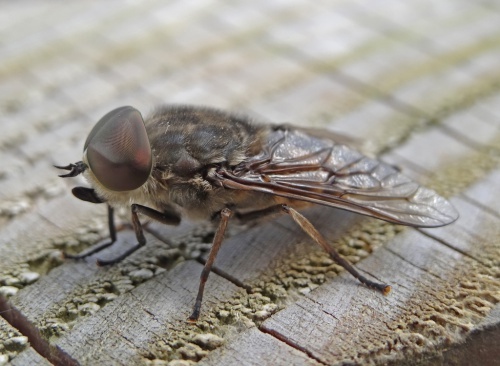 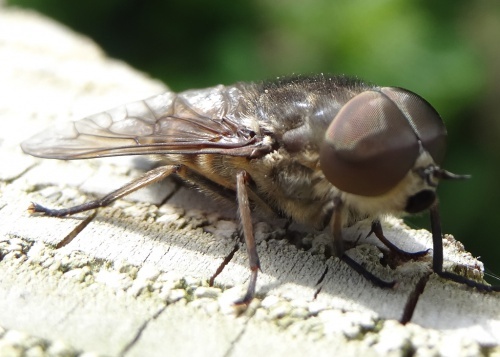 Tabanus autumnalis is a medium sized species of biting horse-fly. 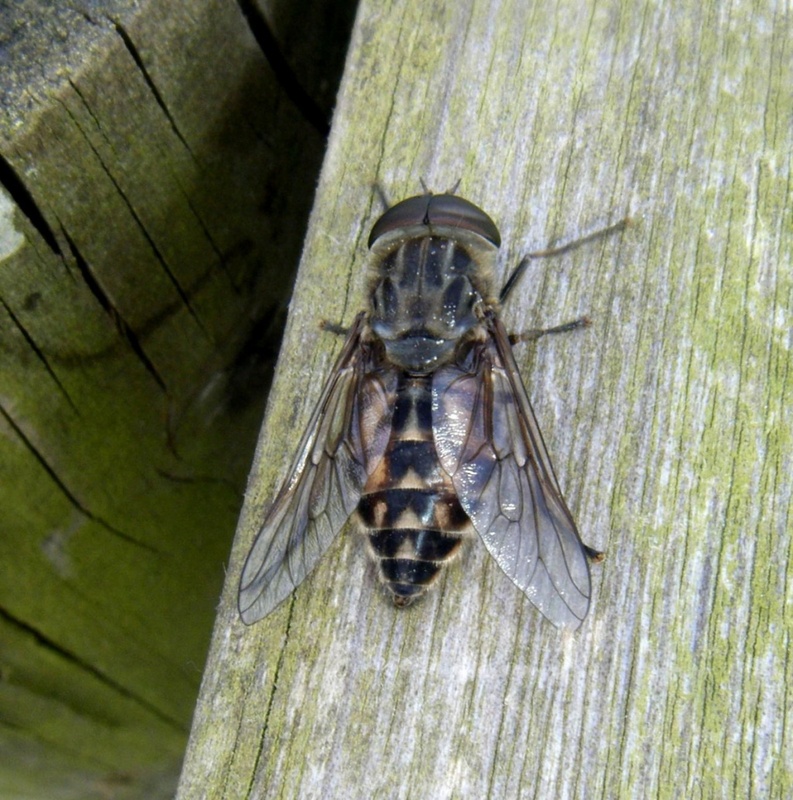 It is somewhat scarce compared to T. bromius and T. bovinus. 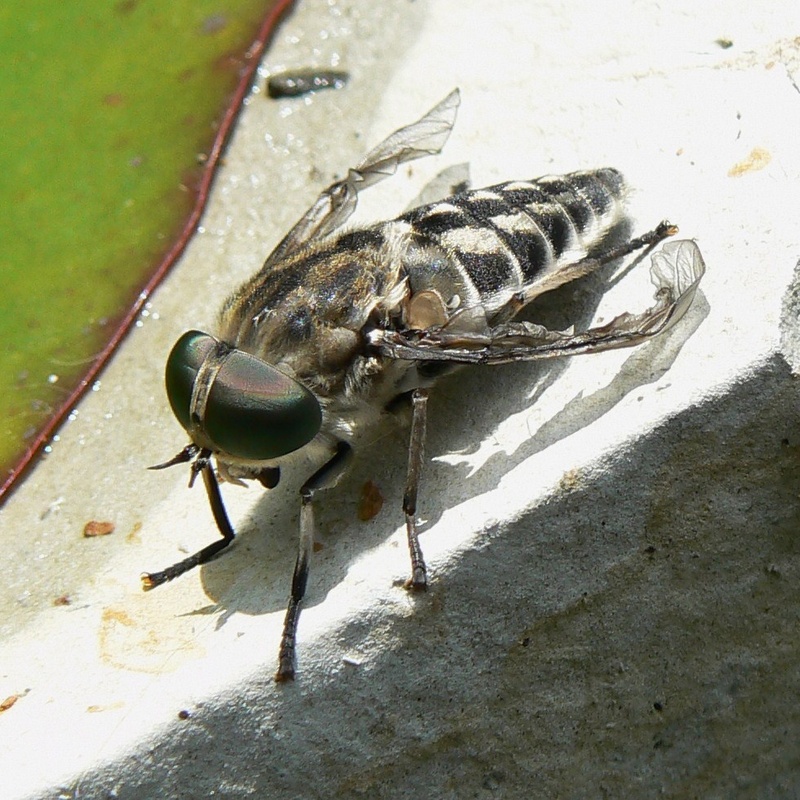 It is quite a distinctive species with pale triangle markings on a dark body. Tabanus bromius is similar but smaller with a body length around 14 or 15 mm. Tabanus bovinus on the other hand is largr than t. autumnalis, with a body length of 25 to 30 mm. Wet grassland and marshy areas, especially when cattle are present. Peaking in June and July. 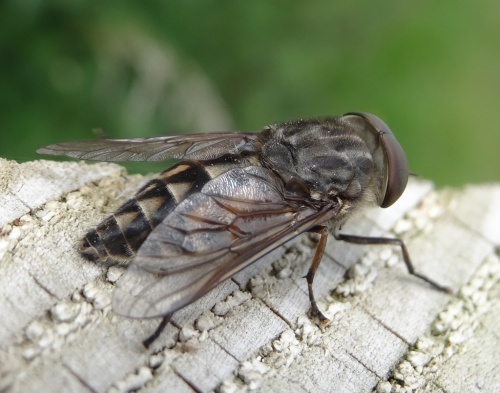 This species which has previously been rather uncommon in Britain now seems to be extending its range.